Draft: 1995, Kansas City Royals, 2nd rd. Graduated from Fernando Callejo High School in Puerto Rico. Was Honorary Commissioner to Harlem RBI's REAL Kids program from 2006-09, donating $200,000, which was matched by the Mets Foundation...held clinics during summers in New York teaching the children of Harlem RBI the fundamentals of the game...donated $500, which was matched by the Mets Foundation for a total of $1,000, to Harlem RBI for each RBI he recorded from 2007-10. Won the Thurman Munson Award on Feb. 3, 2009...received the Joan Payson Award from the New York Chapter of the BBWAA in 2010 for outstanding work in the community. Was named the recipient of the 2013 Roberto Clemente Award, presented annually to the Major Leaguer who best represents the game of baseball through positive contributions on and off the field, including sportsmanship and community involvement...the award pays tribute to Clemente's achievements and character by recognizing current players who understand the value of helping others. Runs the Carlos Beltran Foundation with his wife, Jessica...the foundation aims to provide students with a dynamic learning experience, while also developing and enhancing their athletic abilities...in 2011, their foundation built the $10 million Carlos Beltran Baseball Academy in Puerto Rico, which is a high school for top baseball prospects in grades 10-12. Was originally drafted by Kansas City in the second round of the 1999 draft. Signed with the Astros as a free agent with on Dec. 5, 2016...contract runs through the 2017 season. Combined to bat .295 (163-for-552) with 29 HR and 93 RBI in 151 games with the Yankees and Rangers in his 19th major league season...saw his ninth All-Star selection, first in the AL...ranked among AL leaders in batting average (15th), avg. vs. LHP (4th, .338) and game-winning RBI (T9th, 14)...his 29 HR and 93 RBI were both his second highest totals in previous eight years (32 HR/97 RBI in 2012)...was his eighth career season of 25-or-more HR which was tied for sixth among active players...batted .344 (74-for-215) after a first pitch ball, sixth-best in AL... made 140 total starts at DH (73) and in RF (67) with NYY and TEX...became the first switch-hitter in MLB history to have as many as 29 HR and/or 93 RBI in an age 39-or-older season...previous highs were both held by Hall of Famer Eddie Murray: 22 HR in 1996 (age 40 season) and 82 RBI in 1995 (age 39 season)...his .295 avg. was fourth best qualifying figure by a switch-hitter at age 39-or-older, trailing Pete Rose (.325 in 1981 at 40), Murray (.323 in 1995 at 39), and Omar Vizquel (higher .295 in 2006 at 39)...opened the season with the Yankees and hit .304 with 22 HR and 64 RBI in 99 games...was leading club in hits (109), HR, and RBI and was tied for first in doubles (21) at time of trade...compiled a .343/.389/.562 slash line with 10 home runs and 33 RBI in 49 games in June and July leading up to the trade...made 58 starts in right field and 34 as the DH...acquired from New York (AL) in an Aug. 1, trade...he was the Rangers' everyday designated hitter and part time right fielder over the season's final two months...batted .280 (54-for-193) with seven HR and 29 RBI in 52 games for Texas after being acquired...over season's final two months after start of August, ranked among Rangers team leaders in hits (3rd), total bases (3rd, 87), RBI (4th), doubles (4th, 12), HR (T5th), and runs (5th, 23)...hit .340 (17-for50) in his first 14 games with Texas through Aug. 16...matched season high with four hits on Aug. 16 vs. OAK, then endured a career-long 0-for-32 drought from Aug. 17-26...it matched the longest drought by a Ranger since 1974 (also Dean Palmer, Sept. 1-15, 1991)... beginning with a 2-for-4 effort on Aug. 27 vs. CLE, would bat .333/.383/.541 over his final 30 games...his first hit with Texas was solo HR off Kevin Gausman on Aug. 3 at BAL in 1st inning of 3-2 Texas loss...his RBI groundout in 7th inning on Aug. 23 at OAK broke a scoreless tie, and preceded an Adrian Beltre two-run HR in Rangers' 3-0 divisionclinching victory...stolen base on Aug. 27 vs. MIL (age 39.156), which was the oldest age for a steal by a Ranger since Omar Vizquel (42.054) on June 17, 2009 vs. HOU. Batted .276 (132-for-478) with 57R, 34 doubles, 19HR and 67RBI in 133 games (120 starts in RF and eight at DH) with the Yankees…of his 19HR, four tied the game and nine gave the Yankees the lead...Was one of seven players in the Majors in 2015 with four separate hitting streaks of at least nine games, joining Jose Altuve, Xander Bogaerts, Lorenzo Cain, Chris Davis, Adam Eaton and Buster Posey (four each)…his four streaks of at least nine games were the most by a Yankee since Robinson Cano (four) and Derek Jeter (four) in 2012...From 5/1 through the end of the season, hit .295 (121-for-410) with 52R, 29 doubles, 19HR, 60RBI and a .862 OPS in 115 games…led the team in batting average and doubles over the span...Recorded his 1,000th career AL hit with an eighth-inning single on 4/17 at Tampa Bay…became the eighth player all time to reach 1,000H in both the AL and NL...In 25 games in May, hit .298 (28-for-94) with 9R, 7 doubles, 4HR and 14RBI…batted just .162 (11-for-68) in April…his 136-point batting average increase from April to May was the second highest by an AL player (min. 60AB in each month) behind Cleveland's Jason Kipnis (211 points, .218 in April and .429 in May)-credit: Elias...Hit safely in 15 consecutive games from 5/8-27, batting .339 (19-for-56) with 7R, 4 doubles, 3HR and 9RBI during the stretch…equaled the second-longest hitting streak of his career (career-best was 16-game streak from 4/17-5/5/09 w/ Mets)...Had a career-long 160AB stretch without a home run from 8/23/14-5/10/15...Hit game-winning two-run HR in the seventh in 6/18 win vs. Miami…was his 30th career HR to tie the game or give his team the lead in the seventh inning or later and his second such HR with the Yankees (also a threerun "walk-off" HR in the ninth inning on 6/20/14 vs. Baltimore)...Hit solo HR off RHP Alfredo Simon and solo HR off LHP Ian Krol and was 2-for-3 with 3RBI, 1BB and 1HP in 6/20 win vs. Detroit…homered from both sides of the plate for the 12th time in his career, third-most in Major League history (Mark Teixeira and Nick Swisher, 14 times each)…marked his 37th career multi-HR game and first since 6/15/13 at Miami w/ St. Louis (also 2HR)...Was placed on the 15-day D.L. from 7/3 (retroactive to 7/1)-7/19 with a left oblique strain (missed 11 team games)…was removed from 6/30 loss at Los Angeles-AL in the fifth inning with the injury…in three rehab games (2-RF/1-DH) with Single-A Tampa, was 3-for-7 with 2R and 1RBI...Hit safely in 18 straight games at Yankee Stadium from 7/19-8/26 (.328, 19-for-58)…was the longest hitting streak at the current Yankee Stadium (by a home or visiting player) and the longest hitting streak by a Yankee at home since Derek Jeter hit safely in 21 straight games at the original Yankee Stadium in 2006 (credit: Elias)... Reached base safely in 16 straight games from 7/26-8/15, batting .346 (18-for-52) with a .452 OBP…had a 10-game hitting streak from 8/4-15...Hit eighth-inning, game-winning, pinch-hit three-run HR on 8/14 at Toronto…was his second career pinch-hit HR (also 5/18/03 vs. Toronto w/ Kansas City)…marked the Yankees' first go-ahead, pinch-hit HR when trailing in the eighth inning or later since Jorge Posada hit a pinch-hit three-run HR in the bottom of the eighth on 9/9/09 vs. Tampa Bay…the last Yankee to hit a go-ahead pinch-hit HR on the road in the eighth inning or later was Don Mattingly on 7/24/94 at California, whose pinch-hit three-run HR in the ninth erased a 4-2 deficit...Hit ninth-inning, "walk-off" sacrifice fly and was 1-for-3 in 8/24 win vs. Houston…was his 12th career "walk-off" plate appearance and first since 6/20/14 vs. Baltimore (three-run HR)…was also his 1,000th game in the AL...His first-inning three-run HR on 9/19 at the Mets was the game-winning hit…was his first career game-winning hit vs. the Mets…also drove in the game-winning run on 9/20 at the Mets…was credited with game-winning RBI in consecutive games for the 16th time in his career (credit: Elias)...Went 1-for-4 in the Yankees' AL Wild Card Game loss vs. Houston on 10/6. Was named AL "Player of the Week" for the period from 4/7-13,batting .423 (11-for-26) with 7R, 4 doubles, 3HR, 6 RBI and 2 BB/1IBBin seven games over the stretch…led the AL in total bases (24), tiedfor ﬁrst in hits and doubles, ranked second in batting average andwas tied for second in runs scored and home runs…marked his 10th career "Player of the Week" honors and fourth in the AL... Hit his ﬁrst home run as a Yankee in 4/9 loss vs. Baltimore... Homered in three straight games from 4/12-16 (Game 1)…markedthe 10th time in his career he homered in at least three straightgames and ﬁrst since 4/18-20/13 (also three games)... Made his ﬁrst career inﬁeld appearance in 4/13 win vs. Boston, starting in RF and moving to 1B in the top ofthe ﬁfth after Cervelli was removed due to injury... Was placed on the 15-day D.L. from 5/15 (retroactive to 5/13) - 6/5 with a bone spur in right elbow (missed 21 games)…suﬀered the injury on 5/12 vs. the Mets, leaving the game for PH (Murphy) in the seventh... Hit ninth-inning, three-run "walk-oﬀ" HR and was 2-for-4 with 1 double and 1BB in 6/20 win vs. Baltimore…washis eighth career "walk-oﬀ" hit and ﬁrst as a Yankee…was his sixth career "walk-oﬀ" HR and ﬁrst since 6/11/08vs. Arizona w/ the Mets…according to Elias, it was the ﬁrst Yankees "walk-oﬀ" HR with the team trailing anddown to its ﬁnal out since Jason Giambi hit a two-run, pinch-hit HR with two outs in the ninth oﬀ B.J. Ryanon 6/5/08 vs. Toronto to give the Yankees a 9-8 win... Hit three-run HR and was 1-for-4 in 7/3 win at Minnesota…was his 367th career home run, surpassing Lance Berkman for sole possession of fourth place on Baseball's all-time home runs list among switch-hitters... Missed two games (7/8-9) with right knee inﬂammation... Was placed on the seven-day concussion D.L. from 7/10-17 (retroactive to 7/9) after being struck with a ballwhile hitting in an indoor cage on 7/9, suﬀering nasal and maxillary fractures... Hit safely in a season-high 10-straight games from 7/24-8/3, batting .447 (17-for-38) with 2 doubles, 3 HR and 9 RBI over the stretch... Hit his 11th career grand slam-and ﬁrst since 5/8/12 at Arizona w/ St. Louis-in 8/8 win vs. Cleveland... Stole home in 8/11 loss at Baltimore…at age 37 became the oldest player to steal home since Omar Vizquelin 2008 with the Giants at age 41... Started in right ﬁeld in 8/16 win at Tampa Bay, his ﬁrst appearance at the position since 5/11 at Milwaukee... Missed ﬁve games with right elbow soreness (9/10-13)…also missed the ﬁnal nine games of the season withthe injury (9/20-28)... Did not play in three games from 9/16-18 after being excused from the team for a personal family matter... Underwent surgery on 9/30 to remove loose pieces and a bone spur from his right elbow…the surgery wasperformed by Yankees Head Team Physician Dr. Christopher Ahmad. Batted .296 (164-for-554) with 79R, 30 doubles, 24HR and 84RBI in 145 games with St. Louis… led the club in home runs for the second consecutive season... Ranked fifth in the NL with a .374 (46-for-123) batting average with runners in scoring position... Was selected to his eighth career All-Star Game after being voted in as the National League's starting RF… his 6,786,919 votes received were most among NL outfielders and second-most among NL All-Stars behind only the Cardinals' Yadier Molina… went 1-for-2 in the contest at Citi Field... Recorded two multi-HR games, homering from both sides of the plate in each of them (4/26 vs. Pittsburgh and 6/15 at Miami)… through the 2013 season, had 36 career multi-HR contests and has hit switch-hit HR 11 times... Homered in three consecutive games from 4/18-20 at Philadelphia… was his longest such streak since homering in three straight games from 7/19-21/07... Hit safely in a season-high 14 straight games from 5/28-6/15, batting .369 (24-for-65) with 1 double, 1 triple, 6HR and 15RBI over the stretch... Hit his 350th career home run on 6/15 at Miami… went 3-for-6 with 1 triple and 2HR in the game, hitting a triple and home run in the same game for the eighth time in his career... Collected 11 doubles in August, tied with Matt Carpenter for most in the NL during the calendar month... Tied his career high with 4R in 8/2 win at Cincinnati (seventh time, first since 6/27/08 w/ the Mets at the Yankees)... In 17 postseason games for the National League-champion Cardinals, including his first career trip to the World Series, batted .268 (15-for-56) with 3 doubles, 2HR and 15RBI (most among 2013 playoff participants).. Played in 142 games, his highest total since 2008. Was traded from the New York Mets to San Francisco on 7/28...Named to his sixth career All-Star team, his fifth as member of Mets (2005-2007, 2009, 2011). Started for theNational League All-Stars as the designated hitter and was1-for-2 with a single and run...Hit .323 (54-167) in 44 games for SF; .289 (102-353) with an NL-leading 30 doubles at time of the trade, in 98 gameswith NYM...Missed 13 games on the 15-day disabled list with a strained right hand, 8/8-23, after a swing against the Phillies' RoyOswalt on 8/7...Batted .373 (69-185) against NL West opponents, highest among all players in big leagues (min. of 50 plate app. )...Hit a career-best three home runs and had six RBI on 5/12 at Colorado, becoming the eighth Met to accomplish thefeat. He hit 2 HR from the left side and one from the right side, the eighth game he has HRed from both sides...Homered in his first game back off the DL on 8/24 vs. SD, his first ever HR at San Francisco's AT&T Park...Matched his career-high with four hits in game (20th time) 9/2 vs. ARI, a double shy of recording his first career cycle...Tied career-high reaching base safely in 8-straight plate appearances via hit, walk or hit by pitch from Sept. 2-3,matching his career-best done two previous times (6/15-17/03 & 8/19-22/07)...Hit his 300th career home run off Mat Latos 9/14 vs. SD into McCovey Cove, a sixth inning blast which was his second of the day. Spent the first half of the season recuperating from arthroscopic surgery on his right knee...The procedure wasperformed by Dr. Richard Steadman on January 13, 2010, which cleaned out the arthritic area of the knee...Theoperation took place in Vail, CO...Officially placed on the 15-Day Disabled List on March 31...Transferred to the 60-Day Disabled List on May 25...Began his Major League Rehabilitation Assignment with St. Lucie (A) of the Florida State League on June 24...Played his first game with New York on July 15 at San Francisco...Went 1-4...Made 58 starts in centerfield...Left the game on September 28 vs. Milwaukee with right knee discomfort...Did not play the remainder of the season...Hit his first home run of the year, a solo shot, vs. the Cardinals' Jaime Garcia on July 28...Collected his 27th multiple home run game of his career and 15th as a member of the Mets on September 26 atPhiladelphia (off Cole Hamels, Ryan Madson)...Hit a home run from each side of the plate...It was the seventh time heaccomplished the feat in his career and the fourth time he did it as a Met, which tied Bobby Bonilla for second on theclub's all-time list...Todd Hundley did it five times...Hit .353 (24-68) over his final 18 games of the year...Had 14 multiple-hit games on the year: 10 games with two hits and four contests with three hits...Collected four outfield assists...Knocked in three runs twice during the season: September 14 vs. Pittsburgh and September 26 at Philadelphia...Compiled a .385 (5-13) batting average with five RBI with men in scoring position...Hit safely in 11 of the 14 games in which he played for St. Lucie...Had five games with two hits and one game with threehits. Underwent arthroscopic surgery to clean out the arthric area of his right knee onJanuary 13, 2010...Dr. Richard Steadman performed the procedure in Vail, CO...Hit .354 (58-164) in 43 games on the road...Had 33 runs scored, 17 doubles, sevenhome runs and 29 RBI away from Citi Field...Hit safely in 68 of his 81 games and reached base in 74 of 81 games...Collected at least one hit in each of the eight games to start the 2009 season andhad a 13-game hitting streak, dating from September 24, 2008-April 15, 2009...Batted safely in 24 of his first 25 games to start the 2009 season...Hit .404 (38-94)in those games...His RBI triple vs. Washington on April 24th scored Luis Castillo and gave him1,000 RBI for his career...Became the 23rd active player with at least 1,000 RBI...Led the National League and was second in the major leagues with a .388 (31-80)average during the month of April...Reached base safely in 30 consecutive games from September 24, 2008-May 6,2009...Was the only player in the major leagues to reach base in the first 25 gamesof the year...Beltran's streak to start the season is the second longest in franchisehistory, behind John Olerud who reached base safely in 30 straight games to start the1999 season...Was hitting .400 as of May 4th, 24 games into the season...Was the first Metsplayer to hit .400 at that point in the season since Cleon Jones was hitting .404(39-94) 24 games into the 1969 season...Connected on two home runs on May 4th at Atlanta (off Javier Vazquez-2)...It wasthe 26th time in his career that he hit two home runs in a game, and the firstsince September 17, 2008 at Washington...Had a career-high 16-game hitting streak from April 17th-May 5th...Batted .443(27-61) in those games...His previous career-best was a 15-game streak from June14-July 1, 2004 with Kansas City and Houston...Had a 22-game hitting streak in road games from September 17, 2008-May 16,2009...Hit .430 (37-86) in those games...Tied Keith Hernandez for the longestroad hitting streak in franchise history...Hernandez also hit safely in 22 gamesfrom April 16-June 3, 1987...Is one of only five active players with 250 or more home runs and 250 or morestolen bases...Alex Rodriguez , Gary Sheffield, Bobby Abreu and Mike Cameronare the others...On balls hit to the outfield, batted .625 (95-152)...Had an 11-game hitting streak from May 7th-May 17th...During that span, he batted .356 (16-45) with 12 runs scored,five doubles, two home runs, and 10 RBI...Left the game on May 30th in the sixth inning with a stomach virus...Returned to action June 4th at Pittsburgh andwent 2-4 with a double and a home run...Moved into sixth place on the club's all-time home run list (125) thanksto his two-run shot on June 9th vs. Philadelphia (off J.A. Happ)...Movedpast Ed Kranepool (118), Edgardo Alfonzo (120), Kevin McReynolds (122)and Todd Hundley (124) during the 2009 season...Stole two bases on June 18th at Baltimore...It was the 29th time he stolemultiple bases in a game and the first since swiping a career-high three bagson September 24, 2008 vs. Chicago (NL)...Placed on the 15-Day Disabled List with a bone bruise of his right knee onJune 22nd...Named to his fifth National League All-Star team, but did not play due tothe bone bruise of his right knee...Began his minor league rehabilitation assignment with Brooklyn (A) ofthe New York-Penn League on September 2nd...Appeared in five gamesthrough September 6th and collected a game-winning single onSeptember 5th vs. Lowell...Activated prior to the game on September 8th vs. Florida and went 1-4...Hit .284 (19-67) with 10 runs scored, two doubles, two home runs andeight RBI upon returning from the Disabled List...Hit .421 (8-19) with three runs scored, two doubles, two home runs andfive RBI with Puerto Rico during the World Baseball Classic. Finished seventh in the National League in RBI, second in runs scored, tied for sixth in walks, tied for 13th in doubles, and15th in on-base percentage...Was third among National League centerfielders with eight outfield assists...Ranks 10th in franchise history with 117 home runs...Also is 10th in RBI (418)...Registered his seventh season with 20 or more home runs and 20 or more stolen bases...The only players in major leaguehistory with seven or more 20-20 seasons are: Bobby Bonds (10), Barry Bonds (10), Eric Davis (7) and Bobby Abreu (7)...With men in scoring position, hit .286 (53-185) with seven home runs and 81 RBI...For the season, had 47 multiple-hit games: 34 games with two hits and 13 games with three hits...Also had 27 multi-RBI games:13 games with two RBI; 10, three-RBI contests; two, four-RBI games and collected five RBI in a game twice...Reached base safely in 144 of his 159 starts...Reached base safely in 80 of the Mets' 89 victories...Tied a franchise record with three doubles, April 2nd at Florida...Also had two doubles in a 7-2 Opening Day victory in Floridaon March 31st...Collected seven doubles in the Mets' first six games...Only two other major league players had seven doubles in their team'sfirst six contests since 1934 (Alex Gonzalez for the 2003 Cubs and Billy Werber for the 1934 Red Sox)...Hit .306 (33-108) in 28 games in May...Connected on his fifth career walk-off home run on June 11th vs. Arizona (Edgar Gonzalez)...His two-run home run in thebottom of the 13th inning gave the Mets a 5-3 victory...It was his first walk-off home run since August 22, 2006 against St.Louis' Jason Isringhausen...Cracked seven home runs with 22 RBI and hit .286 (30-105) in 28 contests in June...Hit his 250th career home run, July 8th vs. San Francisco...It was a three-run home run off of Tim Lincecum in the first inning...Is one of only three active players with 250 or more home runs and 250 or more stolen bases...Alex Rodriguez and GarySheffield are the other two...Connected on his eighth career grand slam in the top of the ninth inning on August 29th at Florida (off Kevin Gregg)...Itwas his first slam since July 30, 2006 at Atlanta...Finished the game with five RBI, which matched his high as a member ofthe Mets...Also had five RBI on May 10th vs. Cincinnati in the first game of a doubleheader...His grand slam in the ninth inning was the fifth time since the 1986 World Series that a Mets player hit a grand slam in theninth inning or later to give the club a lead...It was last accomplished by Benny Agbayani in the 11th inning on March 30,2000 vs. Chicago (NL) in Tokyo, Japan in the 11th inning...In 29 games in August, he posted a .303 (33-109) batting average with six home runs and 21 RBI...Collected his 100th RBI of the season with a two-run home run on September 9th vs. Washington...It is his thirdconsecutive season with 100 RBI and the eighth time in his career that he reached the century mark...Had an 11-game hitting streak from August 31st-September 13th, hitting .429 (18-42) with 15 runs scored, six doubles, fourhome runs and 12 RBI...On September 17th atWashington, hit a home run from each side of the plate in the same game for the third time in his Metscareer and the sixth time overall...Overall, it was the 18th time that a Met has hit a home run from each side of the plate...ToddHundley holds the club mark with five games and Bobby Bonilla is second at four...Collected his 25th career multiple-home run game and his third of the year, September 17th at Washington (ShaironMartis, Charlie Manning)...Also had two home runs on August 24th vs. Houston (Randy Wolf-2) and on June 16th at LosAngeles (AL) both against Jered Weaver...Delivered his eighth career walk-off hit...His two-out single in the bottom of the ninth inning on September 26th vs. theCubs broke a 6-6 tie and gave New York a 7-6 triumph...It was Beltran's second walk-off hit of the season...Also that night,in the eighth inning, he collected his 1,600th career hit with an infield single...Batted .344 (32-93) with six home runs and 19 RBI in September...Has a .881 career stolen base percentage (275 stolen bases/312 chances), which is the highest all-time among players withat least 200 stolen bases. Underwent debridement of the patella tendon of both knees on October 3rd at the Hospital for Special Surgery...Mets MedicalDirector Dr. David Altchek performed the minor arthroscopic procedure...Was tied for eighth in the National League with 33 home runs, seventh with 112 RBI, sixth in the NL with a home run every 16.8at-bats and tied for sixth with an RBI every 4.9 at-bats...Led major league centerfielders with 33 home runs...Arizona's Chris Young was second with 32 home runs...Also led all majorleague centerfielders with 112 RBI...Minnesota's Torii Hunter was second with 102...Became only the third Met to register consecutive 30-home run and 100-RBI seasons...Only Darryl Strawberry and Mike Piazzaaccomplished that feat...Connected on his 30th home run on September 17th at Washington (Tim Redding)...It was his second straight season and thirdoverall year with 30 or more home runs...Had 47 RBI in his last 45 starts...Had five home runs and 16 RBI over his final 14 games...Left the game on September 23rd at Florida with a bruised left knee after colliding against the outfield wall while making a catch...Left the game on September 21st at Florida with a bruised patella tendon of his left knee...Started the following day on September22nd at Florida...Had 14 home runs and 50 RBI after returning from the Disabled List on August 10th...Hit .297 (77-259) with 18 home runs and 55 RBI vs. National League East opponents...Batted .293 (66-225) with 17 home runs and 57 RBI after the All-Star break...Constructed a .304 (48-158) mark against lefthanded pitching...Was second on the team with six outfield assists...Collected on two home runs on September 26th against Washington's Mike Bacsik...It was his fifth multi-home run game of 2007 and the 22nd of his career...Also hit two home runs on August 19th at Washington (Shawn Hill, Chris Schroder), June 30th atPhiladelphia (J. A. Happ, Ryan Madson), June 29th at Philadelphia in the second game of a doubleheader with two solo blasts offCole Hamels and April 4th at St. Louis (Braden Looper, Josh Hancock)...Activated from the Disabled List on August 10th and cracked a three-run home run in that contest...Was placed on the 15-DayDisabled List on July 31st, retroactive to July 25th with a strained left oblique...Was scratched on the July 25th game with thePirates with a strained left abdominal muscle...Was named the National League Player of the Week for the week ending August 19th...He led the NL with 10 RBI, hitting .375(9-24) with eight runs scored, four home runs, which was second in the league...It was his seventh career Player of the Weekhonor...He was also the NL Player of the Week for the week ending April 22nd...Had four RBI on August 19th at Washington and five RBI on August 21st vs. San Diego...It marked the third time he hadconsecutive games with four or more RBI with the Mets, the most in team history...Also tied the team record with 12 RBI over a three-game span (August 19th, August 21st-August 22nd)...Beltran set the mark with12 RBI in three games in 2006...Swatted a home run on August 21st vs. San Diego (Chris Young)...It was his third straight home run in three at-bats dating back toAugust 19th at Washington...Was the second time in his career that he connected on a home run in three consecutive at-bats...Hit a home run from each side of the plate on June 30th at Philadelphia (J. A. Happ, Ryan Madson)...It was the fifth time in hiscareer he's accomplished that feat and second time as a member of the Mets...He also did it twice with Kansas City and once withHouston...Beltran last went deep from each side of the plate on July 30, 2006 at Atlanta...It was the 17th time in franchisehistory a Met has hit two home runs from opposite sides of the plate...Connected for two home runs on June 30th at Philadelphia (J. A. Happ and Ryan Madson) for the second consecutive game...Alsobelted two home runs on June 29th at Philadelphia in the second game of a doubleheader with two solo blasts (Cole Hamels-2)...Was also the last major leaguer to hit two home runs in consecutive games (July 29-July 30, 2006 at Atlanta)...Gary Carterand Frank Thomas are the only other Mets who have hit multi-home runs in two straight games...Tied his career-high with four hits on June 30, 2007 at Philadelphia...It was his 19th career four-hit contest and the fourth time ofthe year...Also had four hits on April 19th at Florida, April 21st vs. the Braves and April 30th vs. Florida...Hit a home run in three consecutive games from July 19th-July 21st...It was the third time he's collected a home run in threestraight games as a member of the Mets...He went deep with New York in three consecutive contests from July 29-August 1, 2006and May 5-May 7, 2006...Was elected the starting centerfielder for the National League All-Star Game, July 10th at San Francisco...Was 1-3 with a run scoredand a triple...Was the only NL player who has been selected by the fans to start the All-Star Game in 2005, 2006 and 2007...Delivered the go-ahead RBI in the top of the 17th inning with an RBI single in New York's 5-3 win at Houston on July 7th...Delivered a two-run, go-ahead single in the 12th inning on April 28th at Washington in New York's 6-2 triumph...Began the season with 19 RBI in his first 16 games...The only Met to have more RBI in his first 16 games was Jeff Kent who had23 RBI in 1994...Won his sixth career Player of the Week honor and his fourth in the National League for the week ending April 22nd...Hit .448 withfour doubles, two triples, two home runs, nine RBI with a .931 slugging percentage and .484 on-base percentage...Donated $500 which was matched by the Mets Foundation for a total contribution of $1,000 for each RBI to Harlem RBI during2007...Beltran and the Mets Foundation raised $112,000. Set career highs in runs scored, doubles, home runs, RBI and walks...Ranked third in the National League in runs, fifth in home runs, fourth in slugging percentage, 10th in walks, was tied for fifth in extra-base hits and tied for seventh in RBIs...In addition, his 13 outfield assists were tied for third in the NL...Was a recipient of the Rawlings Gold Glove, the first of his career...Also received his first Louisville Slugger Silver Slugger Award...Tied three single-season club records on Sept. 28 at Atlanta...Cracked his 41st home run (off Peter Moylan) to tie Todd Hundley's 1996 franchise record...That blast was also his 80th extra-base hit, tying Howard Johnson's 1989 team mark...Also scored two runs to give him 123 runs scored, equaling Edgardo Alfonzo's 1999 club mark...Reached base safely in a career-high 29 straight games from August 20-Sept. 30...His previous best was 26 consecutive games reaching safely in 2004 with Houston...Scored four runs on Sept. 30 at Washington...Scored 127 runs to set the single-season franchise record...Edgardo Alfonzo held the old mark with 123 runs scored in 1999...Became only the third player in franchise history to reach the 40-home run plateau on Sept. 11 at Florida (off Anibal Sanchez)...Mike Piazza had 40 home runs in 1999 and Todd Hundley set the club mark with 41 home runs in 1996...Returned to action in the second game of the Sept. 6 doubleheader vs.Atlanta...Suffered a contusion of his left knee in the ninth inning on Sept. 2 at Houston...X-rays taken at St. Joseph's Hospital in Houston were negative...Broke the team record for most road RBIs in a single season with his 74th RBI on Aug. 30 at Colorado...Finished the season with 78 road RBIs...Bernard Gilkey had 73 road RBIs in 1996...Scored a run in 12 straight games (22 total), from Aug. 17-Aug. 30, establishing a new club record...Established new career-highs with his 39th home run and 109th RBI of the year, Aug. 29 at Colorado (off Byung-Hyun Kim)...Set a club record for most home runs on the road in a single season with his 24th home run, Aug. 29 at Colorado (off Byung-Hyun Kim), surpassing Howard Johnson's 23 in 1987...Finished with 26 road home runs...Registered his second walk-off home run of the season and fourth of his career, Aug. 22 vs.St. Louis (off Jason Isringhausen)...Recorded his 200th career home run, Aug. 26 vs. Philadelphia (off Jon Lieber)...Tied his career-high in home runs (38) and RBI (108) on August 26 vs. the Phillies with a two-run home run off Jon Lieber...Collected his 100th RBI of the season, Aug. 19 vs. Colorado...Became only the 13th Met in club history to reach that plateau...Also became the second fastest Met to reach 100 RBIs, accomplishing the feat in his 110th game...Mike Piazza notched his 100th RBI in his 103rd game in 2000...Tied his career-high with four hits on Aug. 17 at Philadelphia...It was his 15th career four-hit game...Also had four hits, June 9 at Arizona and July 2 at the Yankees...Smacked three doubles on Aug. 8 vs. San Diego, to tie the Mets club record, done 20 times, last by David Wright on Aug. 21, 2004 at San Francisco...Had six home runs and 16 RBIs over a six-game stretch from July 25-August 1...Kevin Mench had a similar six-game stretch earlier this season while with the Rangers (six home runs, 18 RBIs)...The last National League player with six home runs and 16 runs batted in over a six-game span was Sammy Sosa in 2002 (six home runs, 19 RBI)...Became the third player in Mets history to reach 30 home runs in a season before Aug. 1...Dave Kingman hit his 30th home run on July 10, 1976 and had 32 at the end of the month...Todd Hundley cracked his 30th home run on July 30, 1996 and finished the month with 30...Became the fifth player in Mets history to hit 10 or more home runs and have at least 30 RBIs in one calendar month when he hit 10 home runs and had 32 RBIs in July...Tommie Agee (11 home runs/30 RBIs in June, 1970), Dave Kingman (13 home runs/31 RBI in July, 1975), Gary Carter (13 home runs/34 RBI in September 1985) and Mike Piazza (11 home runs/33 RBI in August 1999) are the others...Was named the National League's Co-Player of the Week, with the Phillies' Chase Utley, for the week ending July 31...Batted .385 with seven runs scored, a double, and a league-leading 15 RBIs...Was also tied for the league lead with five home runs...Registered his seventh career grand slam, July 30 at Atlanta (off Chuck James)...That home run was also his 31st of the season, setting a new club record for home runs by a Mets center fielder breaking Mike Cameron's mark of 30 home runs in 2004...In addition, became the first Met and the ninth Major League player to hit three grand slams in one calendar month...The last player to hit three slams in a month was Devon White with Milwaukee in May 2001...The others to accomplish the feat are: Shane Spencer (September 1998), Mike Piazza (April 1998), Mike Blowers (August 1995), Eric Davis (May 1987), Larry Parrish (July 1982), Jim Northrup (June 1968) and Rudy York (May 1938)...Became the 13th Met to reach the 30-home run plateau in a season with his two blasts on July 29 at Atlanta...The others are Cliff Floyd, Mike Cameron, Mike Piazza, Robin Ventura, Todd Hundley, Bernard Gilkey, Bobby Bonilla, Howard Johnson, Darryl Strawberry, Gary Carter, Dave Kingman and Frank Thomas...Collected the 17th multi-home run game of his career, July 30 at Atlanta (off Chuck James & Jason Shiell)...Became only the third Met to register consecutive multi-home run games and the first since Gary Garter in 1985...Carter swatted three home runs on Sept. 3 at San Diego and two more on Sept. 4 at San Diego...Frank Thomas was the only other Met to do so, hitting two home runs in three consecutive games, Aug. 1-Aug. 3, 1962...Became the seventh Met to hit a home run from each side of the plate on July 30 at Atlanta...It was the fourth time he's hit a home run from each side of the plate, last done on July 1, 2004, with Houston at Chicago...Jose Reyes was the last Met to hit a home run from each side of the plate on Aug. 28, 2003 at Atlanta...Had five RBIs in each game on July 29 and July 30 at Atlanta, tying the club mark and becoming only the second player in franchise history to record 10 RBIs in consecutive games...Robin Ventura had 10 RBIs in back-to-back games, April 16 at Pittsburgh and April 18 vs. Milwaukee in 2000...Picked up his 23rd career multi-steal game, July 26 vs. Chicago, stealing second base twice...Drove in his 80th RBI of the year on July 24 vs. Chicago, setting a new Mets record for most RBIs by a center fielder in a single season...Lee Mazzilli and Brian McRae held the old mark with 79 RBIs...Hit his sixth career grand slam, July 18 at Cincinnati (off Eric Milton)...Became only the second Met in franchise history to hit a grand slam in consecutive games...Robin Ventura slugged a grand slam in each game of a doubleheader on May 20, 1999 vs. Milwaukee...Also became the 23rd player in MLB history to accomplish the feat...Became the only player in Major League history to hit a grand slam from the left side and right side of the plate in consecutive games...Collected his fifth career grand slam, July 16 at Chicago (off Roberto Novoa)...Was elected a starting outfielder for the All-Star Game in Pittsburgh on July 11...It was his third All-Star selection, one with the American League and two with the National League...Was 2-4 with a run scored, double and stolen base in the NL's 3-2 loss...Carlos played the entire game to become the first player to play a complete All-Star Game since 1997, when three players did it: Ken Griffey, Jr., Brady Anderson and Ray Lankford...Hit 25 home runs prior to the All-Star break, the second-most in one season by a Mets player...Dave Kingman holds the record with 30 home runs prior to the break in 1976...Tied his career high with four runs scored on July 8 vs. Florida (Game Two)...It was his third career four-run game...Also scored four runs on June 9 at Arizona...Tied his career-high with 11 total bases, July 2 at Yankee Stadium...Also had 11 total bases on June 9 at Arizona and April 14, 2004, for Kansas City at Chicago (AL)...Registered his 700th career RBI on June 15 at Philadelphia...Collected his 1,200th career hit with a double, June 14 at Philadelphia...Scored a run in nine straight games, June 5-June 14...It was the longest run streak by a Met since Derek Bell (11 games) and Melvin Mora (10 games) did it in 2000...Was selected the National League Player of the Week for the week ending June 4...Hit .483 (14-29) with 13 runs, three doubles, three home runs, 12 RBIs and five stolen bases with a .897 slugging percentage and .545 on-base percentage...It was his fourth career Player of the Week honor...Collected the third walk-off home run of his career, May 23 vs. Philadelphia (off Ryan Madson)...That home run came in the bottom of the 16th inning to give the Mets a 9-8 victory...Hit a home run in three straight games, May 5-May 7...Drew a walk in nine straight games, April 29-May 7...It was the longest streak by a Mets player since Rickey Henderson also drew a walk in nine consecutive games in April 1999...Missed 10 of 12 games from April 15-April 26 due to discomfort in his right hamstring...Has a .876 career stolen base percentage (227 stolen bases/259 chances), which is the highest all-time among players with at least 200 stolen bases. POSTSEASON: Has constructed a .366 (30-82) career post-season batting average, the third-highest in Major League history (minimum of 80 at-bats)...Only Lou Brock (.391) and Paul Molitor (.368) have compiled a better mark...Hit two solo home runs (off Anthony Reyes, Braden Looper) in Game Four of the NLCS at St. Louis...It was his second career playoff multi-home run game (Game Five of the 2005 NLDS, with Houston at Atlanta)...His career home run per at-bat ratio in the postseason is 7.45 (11 home runs/82 at-bats), the best in Major League history (minimum of 50 at-bats)...Jim Leyritz is second at 7.6 (eight home runs/61 at-bats)...Has seven career LCS home runs which ties him for sixth on the All-Time List with Darryl Strawberry...Also has 11 career postseason home runs, which is tied for 13th all-time with Steve Garvey, Duke Snider and Paul O'Neill...Tied the team mark with three home runs in a single postseason series (NLCS)...Carlos Delgado also had three home runs during that series...Edgardo Alfonzo (1999 Division Series vs. Arizona), Rusty Staub (1973 NLCS vs. Cincinnati) and Donn Clendenon (1969 World Series vs. Baltimore) are the others...Scored four times in Game Four of the NLCS at St. Louis to establish a new club postseason record...The old mark was three runs scored, done three times, last by Mike Piazza and Timo Perez in Game Four of the 2000 NLCS vs. St. Louis...Walked three times and scored once in Game One of the NLDS vs. Los Angeles...Led the squad with five base-on-balls during the series. Finished with a .317 (58-183) batting average during the day...Batted .308 (40-130) with two home runs and 14 RBI vs. lefthanded pitching...Cracked a three-run home run (off Gary Majewski) in the 10th inning on September 23rd at Washington to lift the Mets to a 5-2 win...Had a season-high 10-game hitting streak from September 2nd-September 11th...Batted .333 (13-39) with eight runs, twodoubles, a home run, four RBI and six walks during that span...Stole at least one base in five straight games from August 10th-August 19th, a career-high...Left the August 11th game at San Diego in the seventh inning after colliding with Mike Cameron in right-center field...Was taken toScripps Clinic in San Diego where he underwent a CT scan...Had a minimally displaced facial fracture and a concussion...Missedfour games...Stole home in a double steal in the first inning at San Diego on August 10th...Became the first Met to steal home since Roger Cedeñohad a straight steal of home vs. the Yankees at Yankee Stadium on June 29, 2002...Picked up his 200th career stolen base on August 5th vs. the Cubs...Has a .878 career stolen base percentage (209 stolen bases/238 chances), which is the highest all-time among players with at least200 stolen bases...Tied his career-high with four hits on July 14th vs. Atlanta...It was his 12th career four-hit game...Was voted to the National League All-Star team...The game was held on July 12th at Comerica Park in Detroit...Was 1-3 in thecontest with a single...Became the fourth Mets player to start an All-Star Game in his first year with the team...Theothers were Willie Mays (1972), Lance Johnson (1996, a replacement for Tony Gwynn) and Mike Piazza (1998)...Gary Carter wasselected to start the 1985 All-Star Game but couldn't because of a knee injury...It was his second consecutive appearance as anNL All-Star and his first as a starter...Was the first Mets outfielder to be elected as a starter since Darryl Strawberry in 1989 andwas only the third Mets outfielder ever to be elected a starter (Dave Kingman, Strawberry)...Had a season-high two stolen bases, June 30th vs. Philadelphia...Collected five outfield assists...Left the May 21st game vs. the Yankees in the sixth inning with a strained right quad...Did not play again until May 31st...Picked up the 13th multiple-home run game of his career, May 7th at Milwaukee (Obermueller, Santana)...Had a season-high fourRBI in that contest...Collected his 1,000th career hit, April 18th at Philadelphia, a ninth inning RBI single off Randy Wolf...Became the 13th activeplayer to reach the 1,000-hit plateau before his 28th birthday...The others are: Ken Griffey, Jr. (25), Alex Rodriguez (25), AndruwJones (26), Derek Jeter (26), Vladimir Guerrero (26), Ivan Rodriguez (26), Ruben Sierra (26), Edgar Renteria (26), Carlos Baerga (27),Johnny Damon (27), Juan Gonzalez (27), and Miguel Tejada (27)...Led the team with 15 game-winning RBI, which was tied for fifth in the National League...Cracked a three-run home run (off Terry Adams) in the seventh inning to snap a 1-1 tie and lift the Mets to a 5-1 victory over thePhillies on May 2nd at Shea...Smacked a two-run home run in the eighth inning on April 10th off Atlanta's John Smoltz to give the Mets a 2-1 lead in a game New York would win, 6-1...Hit a home run in his second at-bat with the Mets on April 4th at Cincinnati off Paul Wilson...Had three hits and three RBI in that contest...Started New York's first 40 games...It was the longest such streak by a Met to begin a season since Edgardo Alfonzo started the first 52 games of the 1999 campaign...Had 36 multi-hit games: 24, two-hit contests; 11, three-hit games and one, four-hit contest...Recorded 18 multi-RBI contests: 10, two-RBI games; seven, three-RBI contests and one, four-RBI game...Hit .298 (45-151) with seven home runs and 63 RBI with runners in scoring position...Hit safely in 13 of his last 18 games, with nine runs scored, five doubles, one home run, 12 RBI and five walks in those contests...Had at least one hit in 22 of his last 28 contests...Hit .272 (31-114) with 17 runs, seven doubles, two home runs, 16 RBI and 12walks in those games...Also had a hit in 28 of his last 35 contests...Batted .277 (38-137) with 20 runs scored, eight doubles, three home runs, 18 RBI and three stolen bases in those games. Became the 13th player in major league history and only the second switch-hitter to belt 35 or more home runs, drive in 100 ormore runs and steal 35 or more bases...Led all major league switch-hitters with 83 extra-base hits...Established a career-high with 38 home runs...Also became the 28th player in the history of baseball to compile 30 or more home runs and 30 or more stolen bases in a single season...Was named to his first All-Star team...Was voted to the American League team, but after he was traded from Kansas City to Houston,he played for the NL squad...Was 1-2 with a run scored in the contest...Notched 27 stolen bases after the All-Star break, which ranked second in the majors, and also led the majors with 16 swipes of thirdbase...Also set a National League record with 28 consecutive stolen bases...The old mark was held by the Mets' Kevin McReynoldsin 1988...Became the only player in major league history to drive in 50 runs in both leagues in the same season...Also is the only player tohit at least 10 home runs and steal at least 10 bases in both leagues in the same season...From 2001-2004, constructed four consecutive years of 20 or more home runs and 20 or more stolen bases...Also accomplishedthis feat in 1999...Was acquired by the Astros from the Royals on June 24th...Named NL Player of the Week for the week of August 23rd-August 29th...Hit six home runs with a .594 on-base percentage and a1.261 slugging percentage during that span...Hit a home run in five consecutive games from August 23rd-August 27th...Collected his 12th multi-home run game of his career, August 27th at Chicago...Also hit two home runs on April 14th with KansasCity at the White Sox; July 1st with Houston at the Cubs and July 22nd with the Astros at Arizona...Constructed a career-best 15-game hitting streak from June 15th-July 1st...Batted .377 (23-61)...Went 4-5 with two home runs and four RBI on August 27th at Chicago (off Kerry Wood and Kyle Farnsworth)...Registered his 12thcareer multi-home run contest...Also stole two bases in that game, marking the first time he hit two home runs and stole two basesin the same game...Tied a post-season record with eight home runs in one post-season...Barry Bonds also hit eight home runs in onepost-season (2002)...In addition, he set a major league post-season record with a home run in five consecutive games (Game Fiveof the NLDS through Game Four of the NLCS)...Also set a major league mark with 21 runs scored in one post-season and had anextra-base hit in seven consecutive playoff games, tying Devon White (1993) for the major league record...Overall, he batted .435(20-46) with 21 runs scored, three doubles, eight home runs, 14 RBI and six stolen bases in a total 12 post-season games. Became the only switch-hitter and one of only 11 players in major league history to hit .300 with at least 25 home runs and 40 ormore stolen bases...Finished ninth in the MVP voting...Opened the season on the 15-Day Disabled List after suffering a right oblique strain during spring training...Became the 23rd player in major league history to hit 20 or more home runs and steal 40 or more bases in the same season...Ranked third in the American League in stolen bases, fourth in batting average with runners in scoring position (.347), tied for sixth in outfield assists (10) and seventh with a .322 batting average at night...Hit the second inside-the-park home run of his career on April 29th at Boston (off Tim Wakefield)...The other was on August 4, 2002 at Minnesota (off Kyle Lohse)...Cracked his first career pinch-hit home run on May 18th vs. Toronto (off Cliff Politte)...Tied his career-high with two home runs and six RBI on May 21st at Seattle...It marked the third time he's driven in six runs in a game and seventh multi-home run game of his career...Recorded his 400th career RBI in the sixth inning on June 17th vs. Minnesota...Hit his first career walk-off home run with a two-run shot on July 20th vs. Seattle (off Arthur Rhodes) in a 7-5, 10-inning triumph...Cracked his 100th career home run on August 9th at Tampa Bay (off Lance Carter)...Slugged two home runs (both off Kyle Lohse) on August 16th at Minnesota...It was his eighth career-multi-home run game. Posted career highs in runs then-career high in home runs...Ranked second in the American League in stolen bases, fifth in doubles, tied for seventh in runs scored, fourth with 12 outfieldassists, fifth in triples, sixth in extra-base hits (80), sixth in at-bats and ninth in total bases (319)...Was one of six major leaguers to play in 162 games...Hit home runs from both sides of the plate on September 6th vs. Seattle...It was the second time in his career he's accomplished that feat...Started 184 consecutive games from July 26, 2001-August 19, 2002...Registered two home runs on May 31st at Texas and September 6th vs. Seattle...These were his sixth and seventh careermulti-home run games...Collected his first career inside-the-park home run at Minnesota (off Kyle Lohse) on August 4th...Named AL Co-Player of the Week for the week of July 15th-July 21st...Led the majors in hits (15) and posted a .417 (15-36)batting average...Notched his 100th career stolen base on August 1st vs. Toronto...Blasted his second grand slam of the season (off Sean DePaula) on July 21st at Cleveland...Also hit a grand slam at Texas (off FranciscoCordero) on May 31st. Recorded his second 100-run scored and 100-RBI season...Tied for second in the majors in outfield assists...Was also first among AL outfielders in double plays (six) and third in total chances (423)...Led the AL in stolen base percentage (31-32, .969)...Ranked third in the American League in batting average (.358) after the All-Star break...Tied a career-high with six RBI on the final day of the season at Detroit...Had a then career-best 14-game batting streak from July 31st-August 14th...Hit .367 (22-60) during that span...Swiped 33 consecutive bases from September 29, 1999-August 10, 2001...The streak was snapped on August 11th vs. Detroit...Did not commit an error in his first 64 games to extend his errorless streak to a personal-best 94 games, dating back to 2000...Hit his first career grand slam vs. Chicago (off Bobby Howry) in the seventh inning on August 2nd...Also hit a grand slam on October7th vs. Detroit (off Adam Bernero)...Collected his fourth and fifth multi-home run games by hitting two home runs on June 30th at Cleveland and October 7th at Detroit...Teamed with Mike Sweeney and Raul Ibanez to become just the second trio in major league history to each hit a home run in thesame three consecutive games (June 29th-July 1st)...The only other teammates to accomplish that feat were Dante Bichette, VinnyCastilla and Larry Walker with Colorado from August 2-August 4, 1995...Named the AL Co-Player of the Week for the week of August 20th-August 26th...Led the League with a .500 (12-24) battingaverage, with a home run, a double, two triples, seven runs, nine RBI and four stolen bases...Matched his career-high with a four-hit game on October 6th at Detroit in Game One of a doubleheader and June 27th vs. the Tigers. Started 87 games in the outfield (82 in centerfield, three in rightfield and two in leftfield)...Also was the starting designated hitter in seven other contests...Cracked two home runs on June 29th vs. Cleveland (off Bartolo Colon and Andrew Lorraine) for his second career multi-home runcontest. Was named the American League Rookie of the Year...Received 26 of the 28 first place votes...Became the first rookie to drive in 100 or more runs since Mike Piazza had 112 RBI in 1993 with the Dodgers...Was the first ALRookie to knock in 100 or more runs since Mark McGwire (118 in 1987)...Was also named AL Rookie of the Year by The Sporting News, Baseball America and Baseball Digest...Earned an outfield spot onboth the Topps Rookie All-Star team and the Baseball Digest Rookie All-Star teams...Became the eighth rookie in baseball history to score 100 runs and drive in 100 runs...Joined Boston's Fred Lynn (1975) as the only two to accomplish the feat since 1950...Others on the list include Joe DiMaggio and Ted Williams...Was second in the AL in at-bats, tied for second with 16 outfield assists, tied for third with 10 sacrifice flies and seventh with 194 hits...Also led the League in outfield putouts (395) and total chances (421)...Led American League rookies in runs, hits, home runs, RBI, multi-hit games (54), total bases (301), stolen bases and on-basepercentage (.337)...Hit his first major league home run on April 10th at Chicago (off Jaime Navarro)...Cracked two home runs in Game One of a doubleheader on June 5th against the Reds (off Steve Parris), his first multi-home rungame. Had his contract purchased by the Royals on September 14th and made his major league debut that night vs. Oakland... Collectedhis first major league hit off Buddy Groom...Began the year with Wilmington (A) of the Carolina League...Earned CL Player of the Month honors for June after hitting .323 with three home runs and 20 RBI...Named the Most Exciting Player, Best Outfield Arm and Best Defensive Outfielder in the Carolina League by Baseball America at the All-Star break...Selected as the fifth best prospect in the Texas League and seventh best in the Carolina League by Baseball America. November 2, 2017 DH Carlos Beltran elected free agency. December 5, 2016 Houston Astros signed free agent DH Carlos Beltran. November 3, 2016 DH Carlos Beltran elected free agency. July 19, 2015 New York Yankees activated RF Carlos Beltran from the 15-day disabled list. July 15, 2015 New York Yankees sent RF Carlos Beltran on a rehab assignment to Tampa Yankees. October 30, 2014 OF Carlos Beltran assigned to Cangrejeros de Santurce. October 30, 2014 Cangrejeros de Santurce placed OF Carlos Beltran on the reserve list. July 18, 2014 New York Yankees activated RF Carlos Beltran from the 7-day disabled list. July 10, 2014 New York Yankees placed RF Carlos Beltran on the 7-day disabled list retroactive to July 9, 2014. Concussion. June 5, 2014 New York Yankees activated RF Carlos Beltran from the 15-day disabled list. May 15, 2014 New York Yankees placed RF Carlos Beltran on the 15-day disabled list retroactive to May 13, 2014. Right elbow inflammation. December 19, 2013 New York Yankees signed free agent RF Carlos Beltran. December 23, 2011 St. Louis Cardinals signed free agent RF Carlos Beltran. October 30, 2011 RF Carlos Beltran elected free agency. August 23, 2011 San Francisco Giants activated RF Carlos Beltran from the 15-day disabled list. November 2, 2010 OF Carlos Beltran assigned to Indios de Mayaguez. July 15, 2010 New York Mets activated CF Carlos Beltran from the 60-day disabled list. June 22, 2010 sent CF Carlos Beltran on a rehab assignment to St. Lucie Mets. May 25, 2010 New York Mets transferred CF Carlos Beltran from the 15-day disabled list to the 60-day disabled list. March 31, 2010 New York Mets placed CF Carlos Beltran on the 15-day disabled list retroactive to March 26, 2010. Recovering from January 2010 right knee surgery. 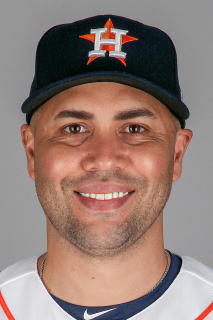 December 8, 2009 OF Carlos Beltran assigned to Indios de Mayaguez. September 8, 2009 New York Mets activated CF Carlos Beltran from the 15-day disabled list. September 2, 2009 sent CF Carlos Beltran on a rehab assignment to Brooklyn Cyclones. June 22, 2009 CF Carlos Beltran assigned to New York Mets.